Experienced from a variety of large and small scale projects, Marcus Cooley is the multi-talented prop master, go-pro setter, and set dresser of Racing To Rio. 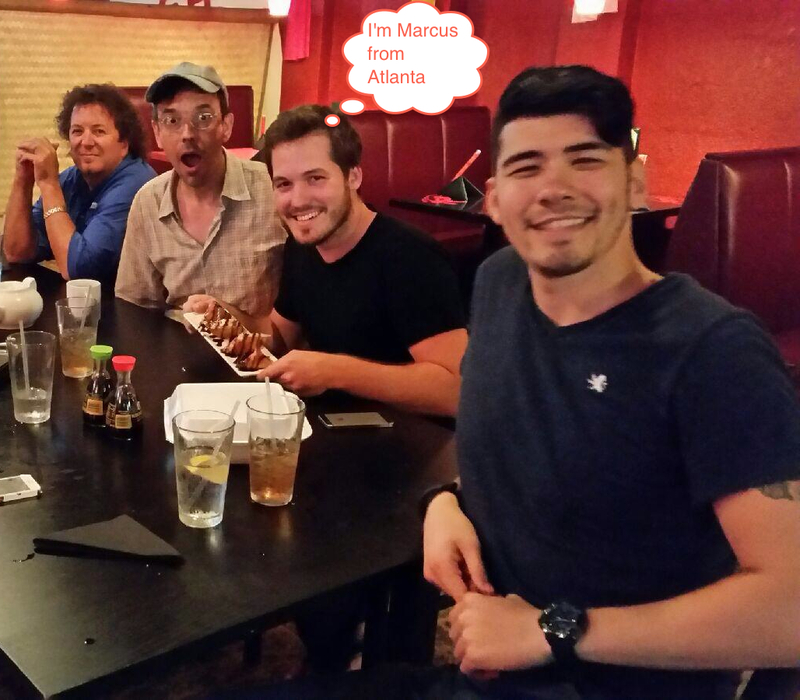 Marcus has worked in nearly all departments of film, including art, effects, writing, producing, directing, cinematography, acting, storyboarding, and animation. He has held positions such as assistant director, prop master, production designer, production coordinator, and art director. He has worked on feature films and television series, including big-name titles such as Selma, Furious 7, Ant-Man, The Hunger Games- Mockingjay Part 2, Left 4 Dead, The Vampire Diaries, and more. In addition to being a certified Wolman Wood Care Professional, Marcus has also won for Best in Design at the 2010 Local Gala. With Marcus’ well rounded skills, he has been an asset to many departments and is always willing to lend a hand. The crew of Racing To Rio is thankful to have Marcus in from his hometown of Atlanta to join our crew during filming. Racing To Rio could not have been launched without proper planning and production coordination. 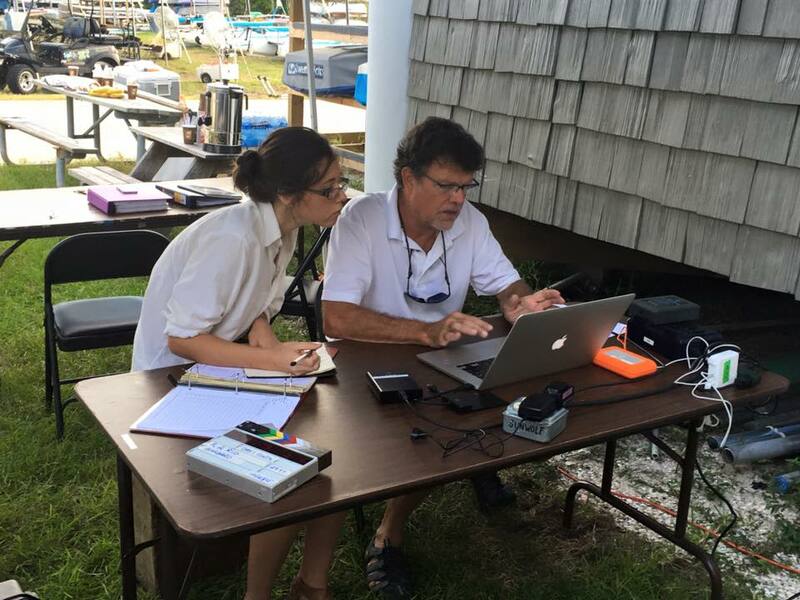 A tremendous asset to the crew, Molly Murrow has been pulling the strings behind Racing To Rio’s organization and public relations, putting in her all to ensure the project’s success. Molly is a cinematographer, freelance grant writer, video editor, graphic designer, and photographer. The great niece of renowned World War II reporter Edward R. Murrow, Molly comes from a journalistic background with a variety of technical and personal skills. We are excited to have Molly on board. The Barbaro-Gould Foundation is lucky to have not only one, but two, directors of photography on board with Racing To Rio. Brian Tarney is our second director of photography. 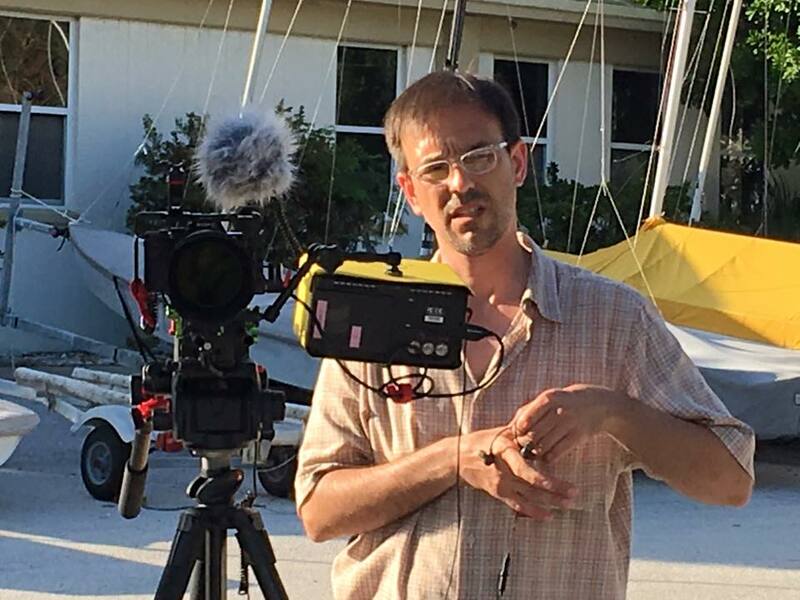 With experience in television, documentary, and film, he has worked as a camera operator, editor, audio technician, and actor in addition to being a director of photography. Brian also produces, directs, writes, shoots, and edits comedy sketches on the web, having worked with the New Movement improv troupe, Dance Crisis. Hard-working and enthusiastic individual, Brian brings his skills and energy to all his projects, and Racing To Rio is no different. We are happy to welcome Brian to Clearwater from his hometown of New Orleans and to the Racing To Rio crew. The Barbaro Gould Foundation has more good news to share! 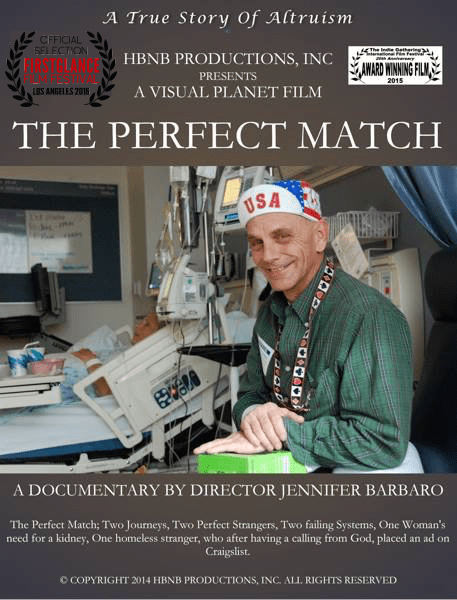 Jennifer Barbaro’s award-winning film, The Perfect Match, has been granted eligibility to use the Producers Mark by the PGA (Producers Guild of America). Jen is now officially recognized by the PGA! From now on, The Perfect Match will be able to put “p.g.a” after the producers’ name(s) in credits, promotional material, awards, and honors. We’re excited over this achievement and can’t wait to see what new developments will happen here at the Barbaro-Gould Foundation. Although it’s been a while, their food still lingers on our taste buds. The Barbaro-Gould Foundation would like to express its sincerest gratitude to Dean Herskowitz and everyone at Meze 119 for their catering support! The St. Petersburg community’s support means a lot to the crew of Racing To Rio, and thanks to Meze 119, we feel it even more. 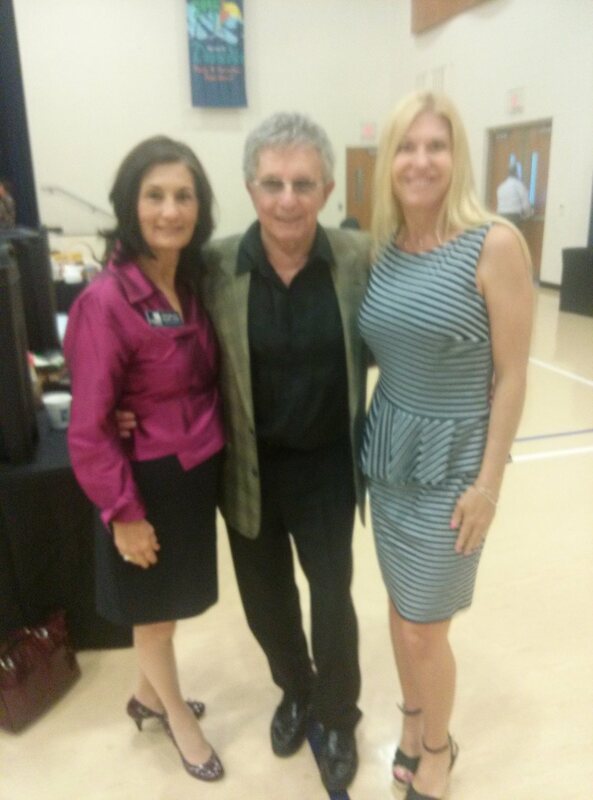 Their assistance shows us how united the Tampa Bay community is. Racing To Rio seeks to not only tell the story of Clearwater hero, Brad Kendell, but also of the supportive communities standing behind him. In addition to telling that story, the film also sets out to encompass humanity, sports, and art through its narrative. We were excited to know Meze 119 feels the same . Located in St. Petersburg, Florida, Meze 119 (727-498-8627 ) is a vegetarian bistro with an emphasis on authentic middle eastern food. It also happens to be a Best of the Bay winner. The Barbaro-Gould Foundation thanks Meze 119 for the delicious meal they provided! Congratulations to Sonar Team USA 1 on another hard-earned victory! Team USA 1 took first place at the Helly Hansen St. Petersburg NOOD (National Offshore One-Design) Regatta 2016 last Saturday. The crew of Racing To Rio was excited to catch the team on film. Competition was strong and the team had to race able-bodied and disabled sailors alike, but triumphed in the end. Perseverance, passion, and a love for the water definitely shined through. 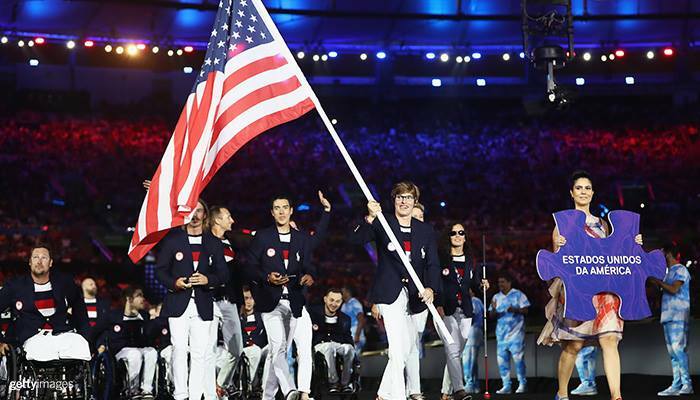 The Barbaro-Gould Foundation and its crew are thrilled for Team USA 1 and wish them the best of luck on their journey to Rio 2016! As always, your donations help us bring this story to life!